Buy yours now before I get sued! 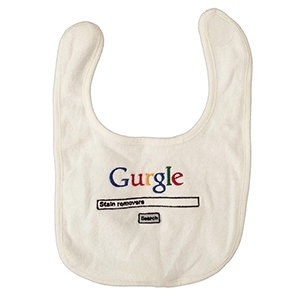 The ‘Gurgle’ Bib is a high quality cotton baby’s bib embroidered with the Gurgle logo and the words ’stain removers’ in the search bar. It’s the perfect dinner attire.